...let me count the wakes. When I was growing up, everyone coveted the inboard ski boats because they had the smallest wakes possible for slalom skiing. Now the rage is wake surfing, and the bigger the wake the better. You will likely recognize that the lake in this video is not Lake Hartwell, but this has to be some of the most amazing wake surfing video I have seen to date. 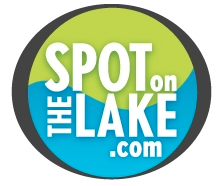 Enjoy, and give us a call to schedule a time to let us help you find your spot on the lake.